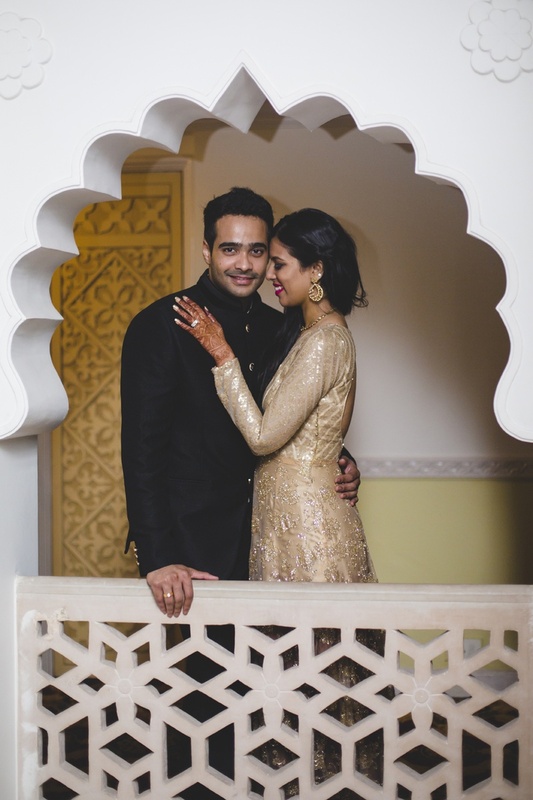 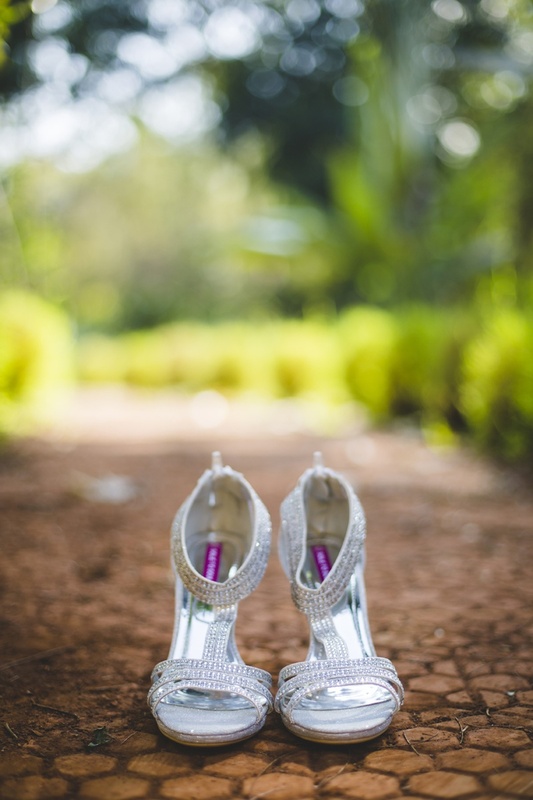 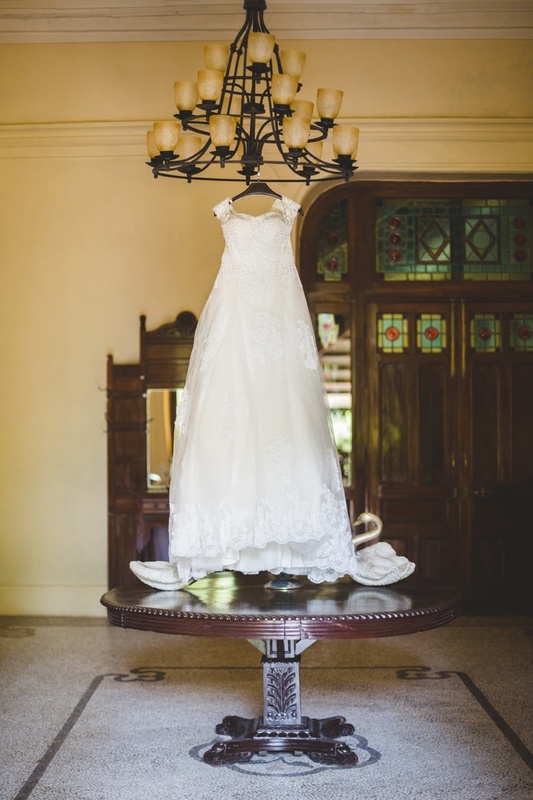 When Bageshree and Jeff’s cross cultural wedding landed in our inboxes, we were confused, amazed and mesmerized at the beauty of it all at once! 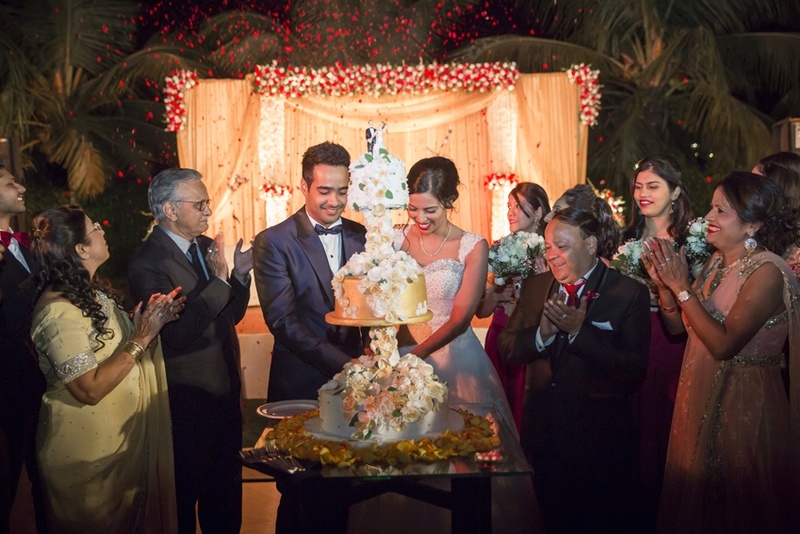 This couple’s love that wasn’t subject to religion or caste decided to celebrate thos cross cultural wedding in three distinct ways. 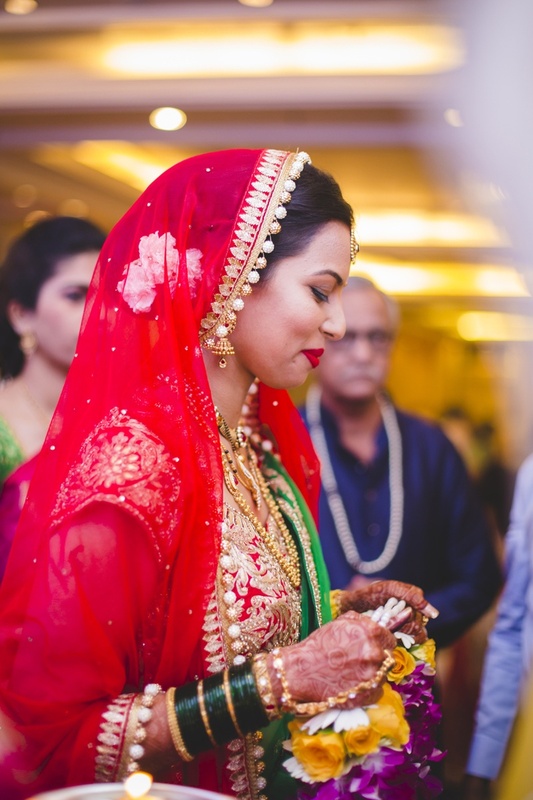 They first had a hindu varmala, followed by a Maharashtrian wedding and then ending the celebrations with a christian themed reception. 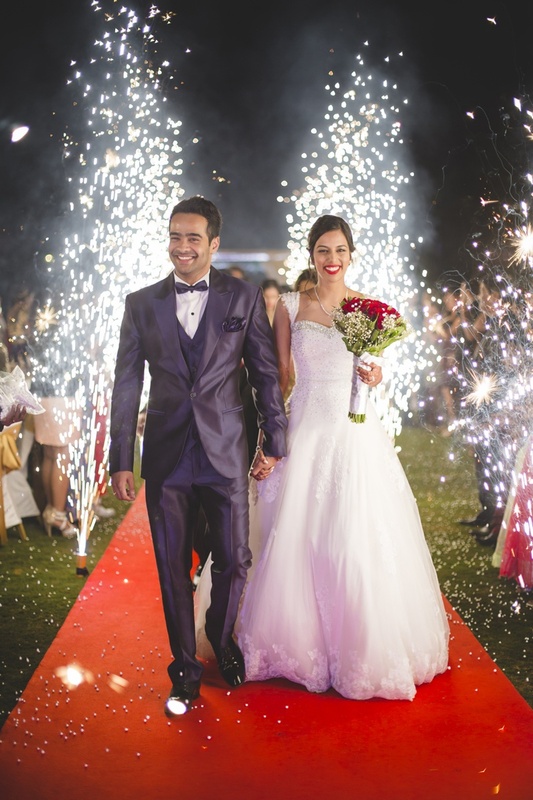 The team at The Wedding Crasher shot this crazy-fun wedding brilliantly. 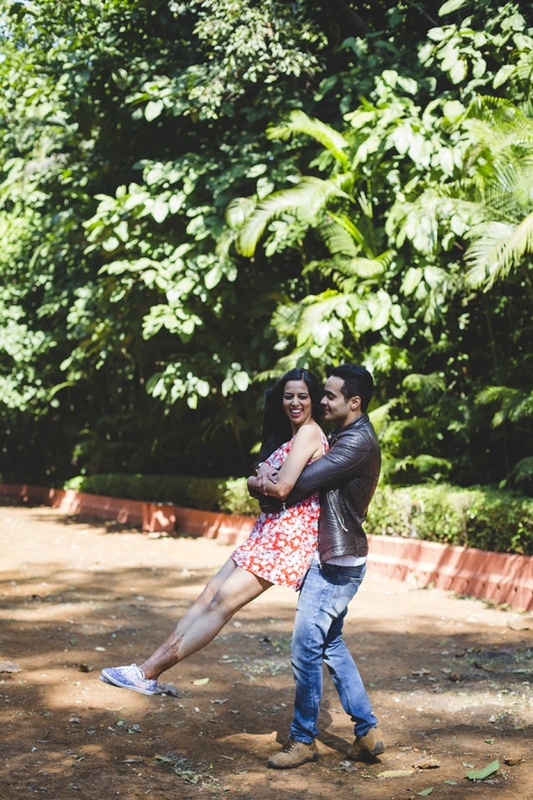 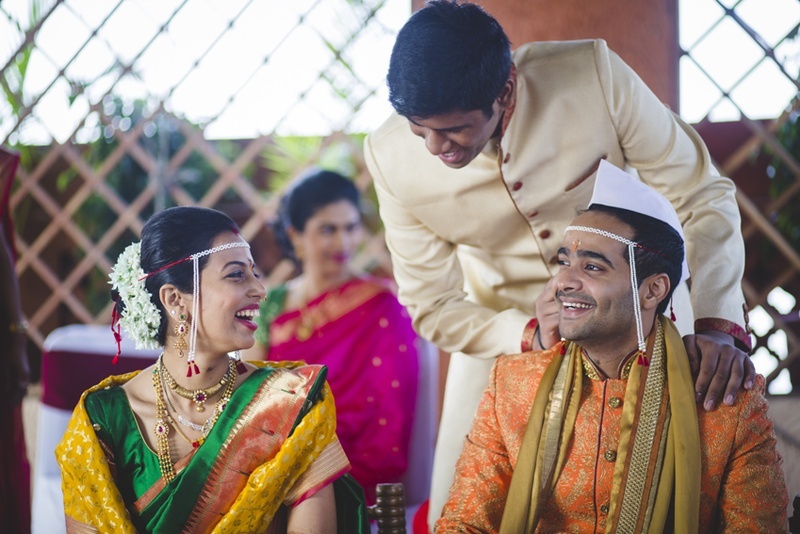 Capturing those candid moments, those secret laughs and so much more perfectly! 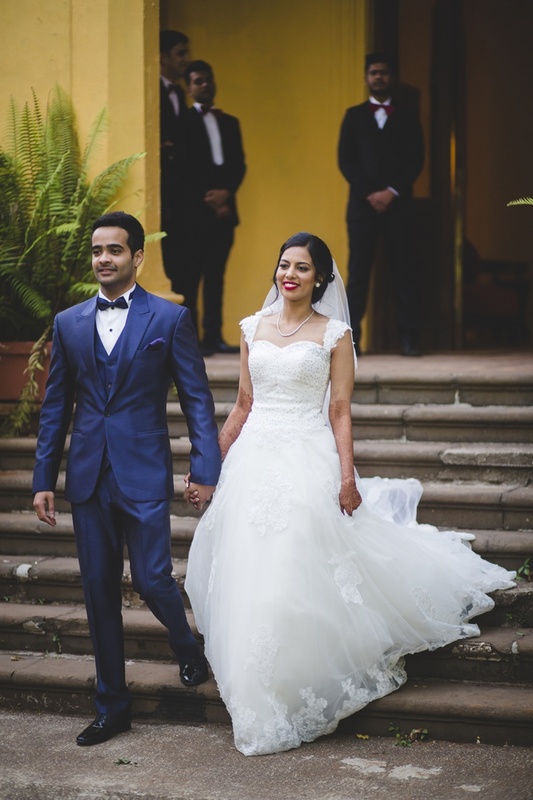 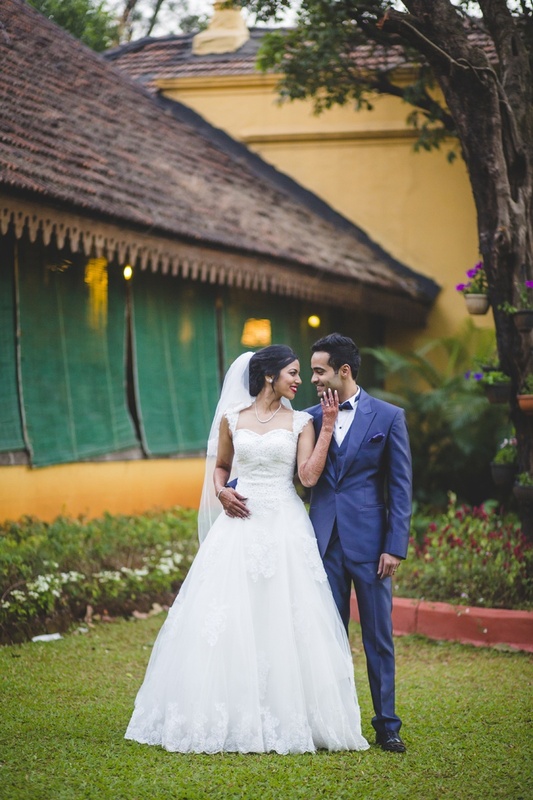 Scroll on to see how Bageshree and Jeff nailed all three kinds of cross cultural wedding ceremonies brilliantly. 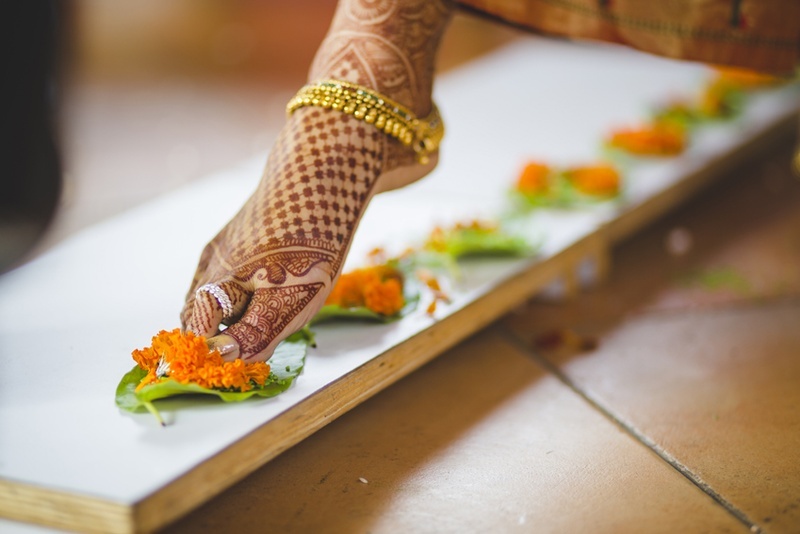 Celebrations began with the Hindu varmala ceremony where Bageshree and Jeff exchanged varmalas as a sign of the beginning of a new life together. 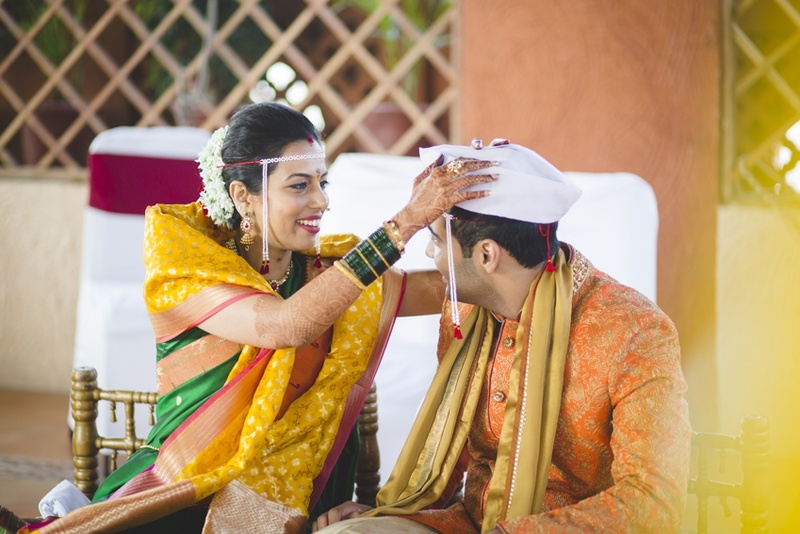 It dates back to the times as written in Vedic literature, where it talks about the swayamvar, where the bride would pick her husband out of many suitors by the action of putting a garland around his neck. 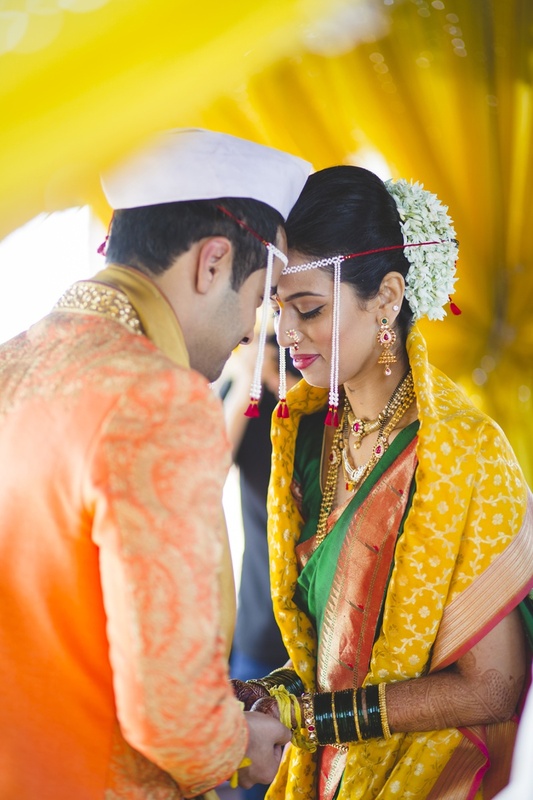 This sweet, love-filled ceremony has grown leaps and bounds over the years and now is a ceremony that signifies the bride and grooms acceptance of each other. 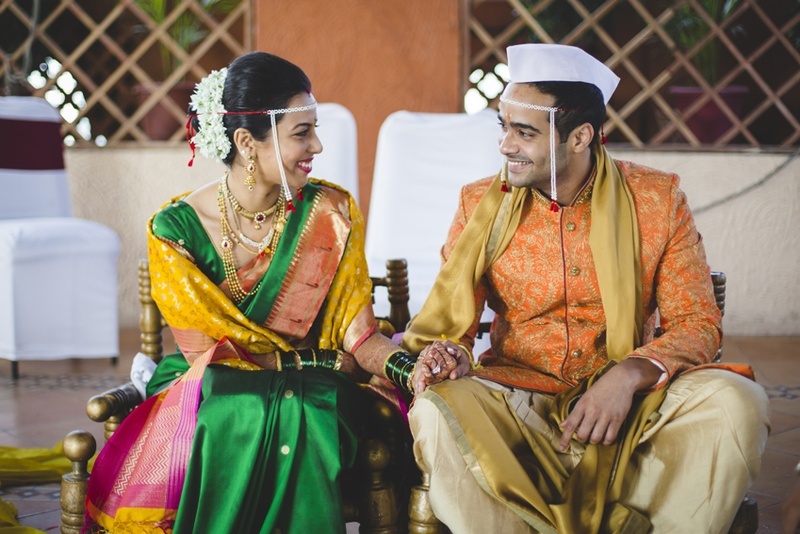 They then tied the knot complete Maharashtrian style, complete with mundavalyas and traditional outfits in complementing hues of green and orange. 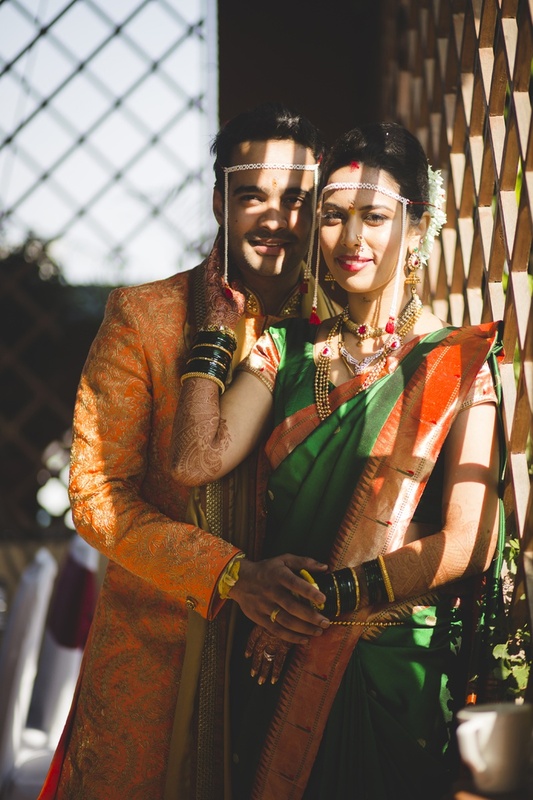 Bageshree donned a stunning emerald green and orange nauvaari saree with while Jeff’s boldly embroidered kesari sherwani complemented the accents of orange on Bageshree’s saree beautifully. 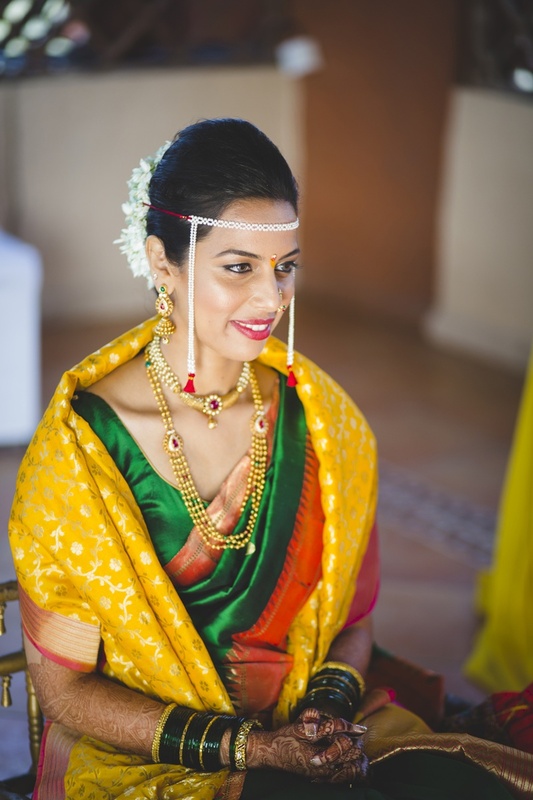 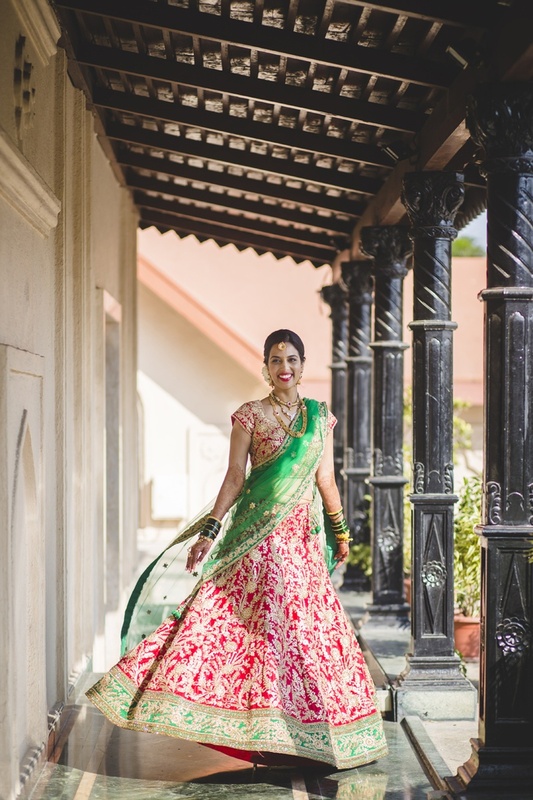 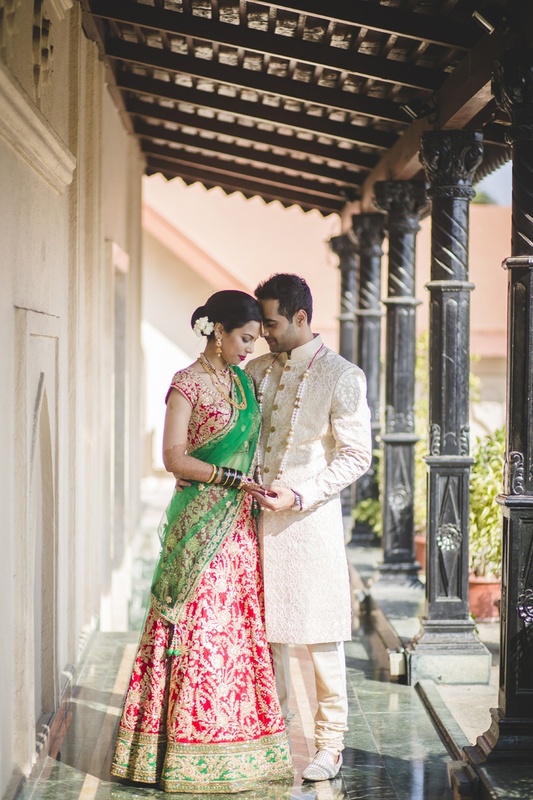 This gorgeous bride’s jewellery too was absolutely exquisite, yet traditional. 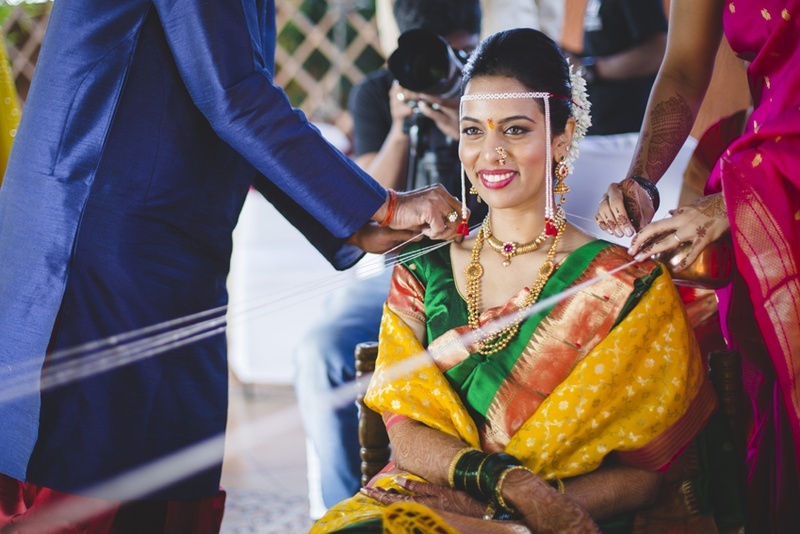 Layering an intricate diamond necklace with the traditional thushi necklace and gold beads. 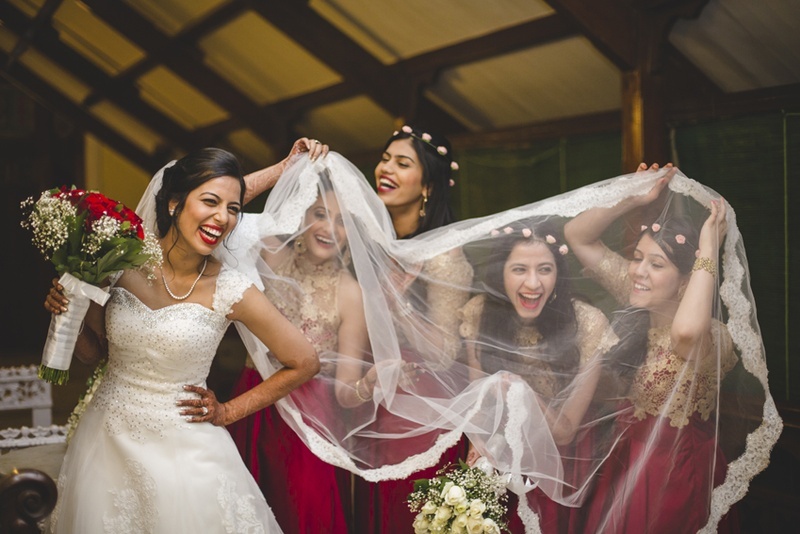 We lovelove this pretty bride and her pretty smiles that just seem to light up the entire atmosphere. 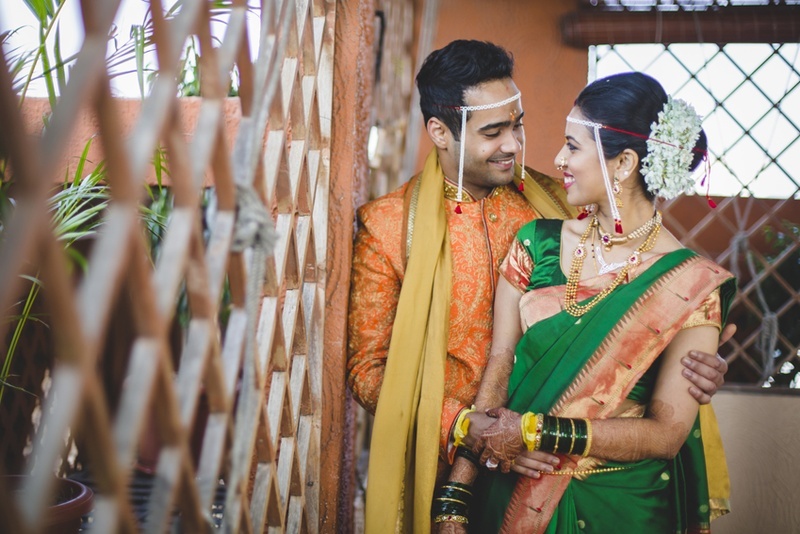 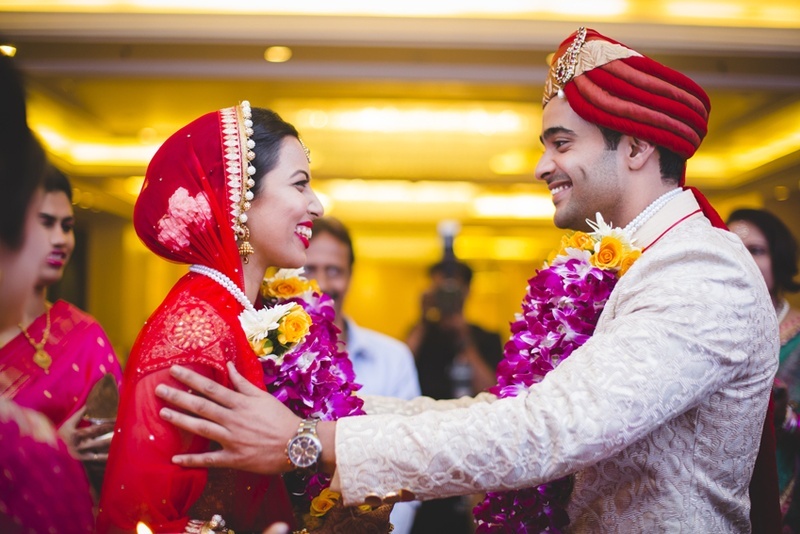 Since the first half of this cross-cultural wedding affair was completed with the Maharashtrian marriage ceremony, it was time to do justice to the second half with the Christian themed wedding reception. 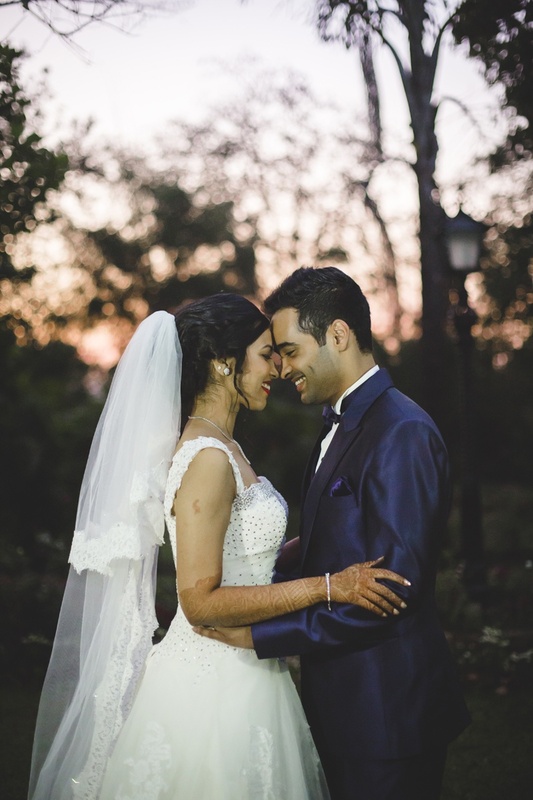 Dressed in a mesmerizing A-line white wedding gown with beautiful floral appliques and a scatter of tiny crystals, this bride looked nothing short of a princess bride. 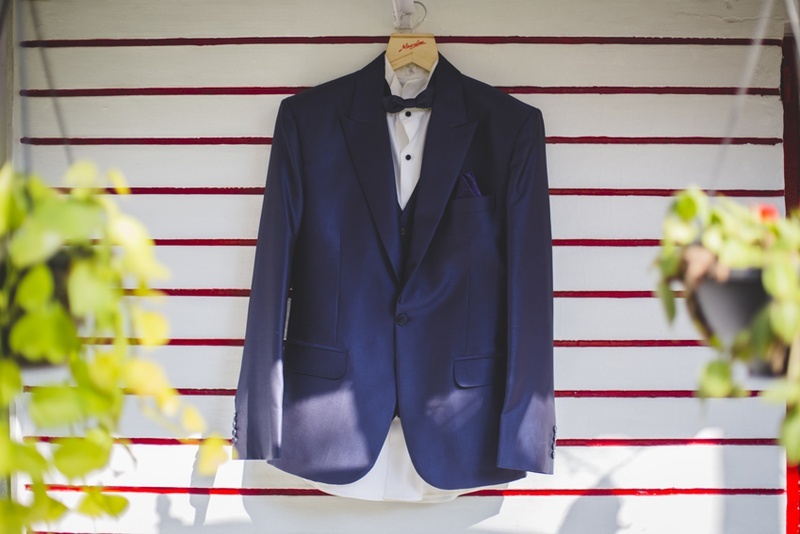 And to complement her regal ensemble, Jeff wore a sharp navy suit with a classic white shirt – a combination we absolutely love! 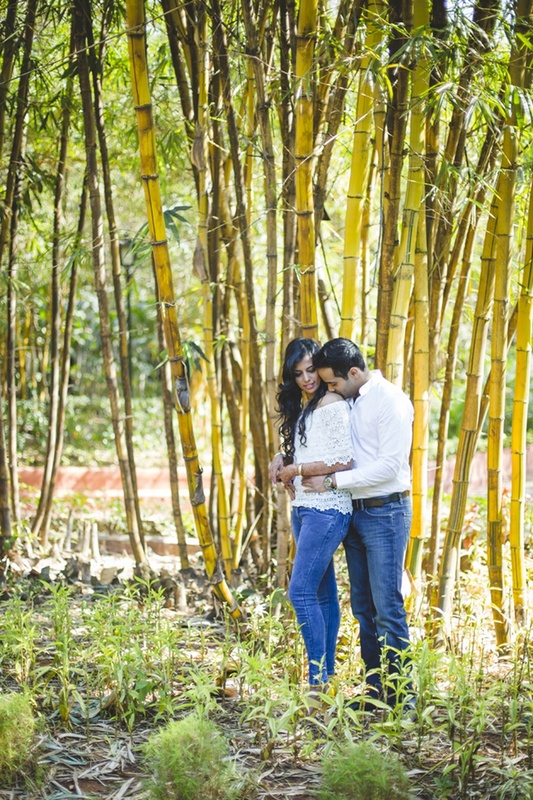 Bageshree and Jeff made sure each element was done beautifully, to the T! 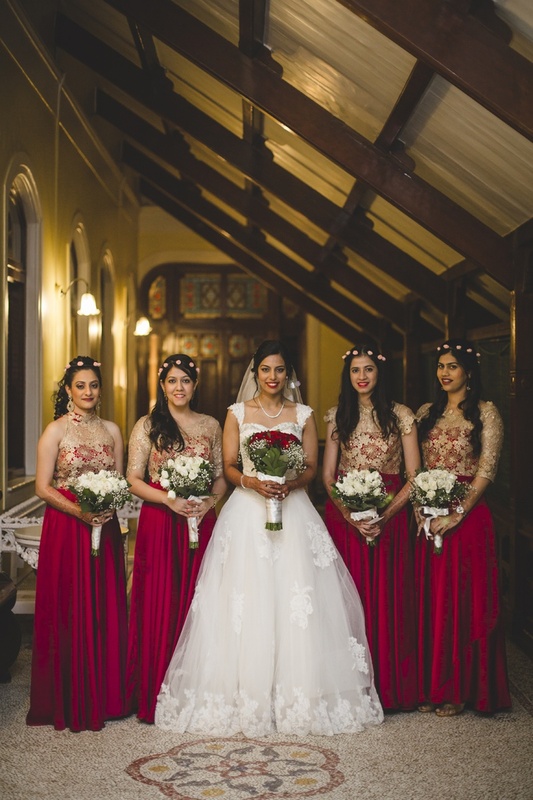 The candid pictures with the bridesmaids, the super splendid sparkler entry and even the gorgeous wedding cake – each aspect had bouts of prettiness that we just couldn’t ignore. 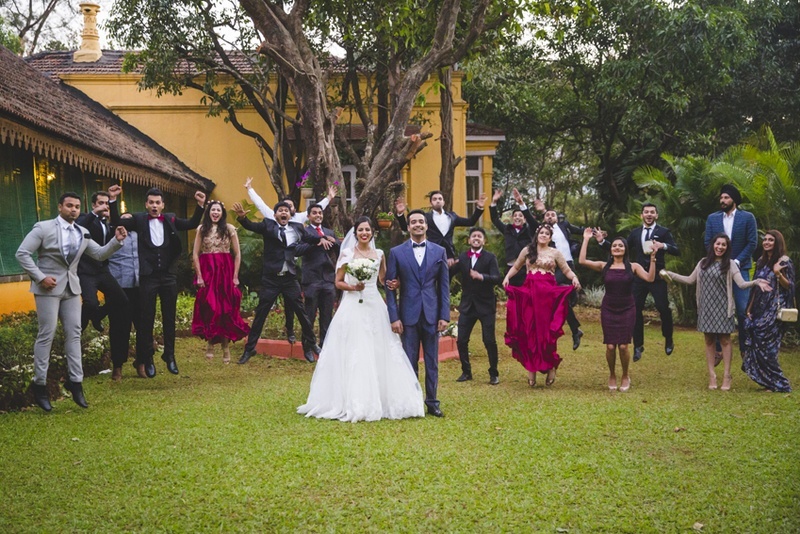 The Wedding Crasher also caught this couple post their wedding for a romantic shoot that was so full of love, we felt it right through our computer screens! 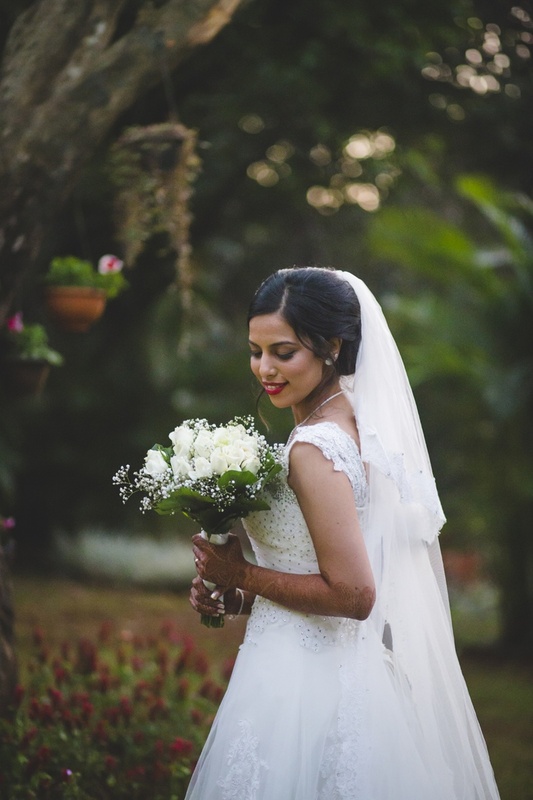 Bageshree picked breezy summer-y outfits to complement their rustic outdoor photoshoot location with an off-shoulder white lace top and a floral printed short red dress – She kept it comfy and beautiful at the same time. 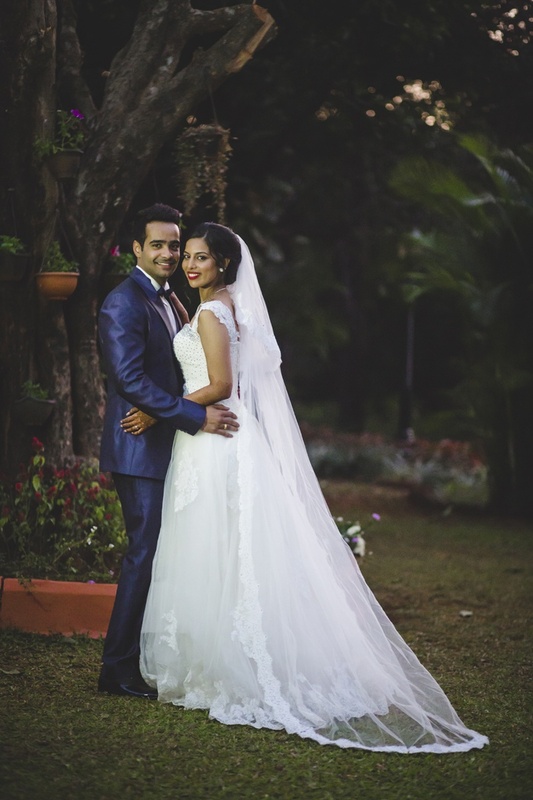 Jeffery looked uber dapper in his classy white shirt and rude-boy leather jacket too. 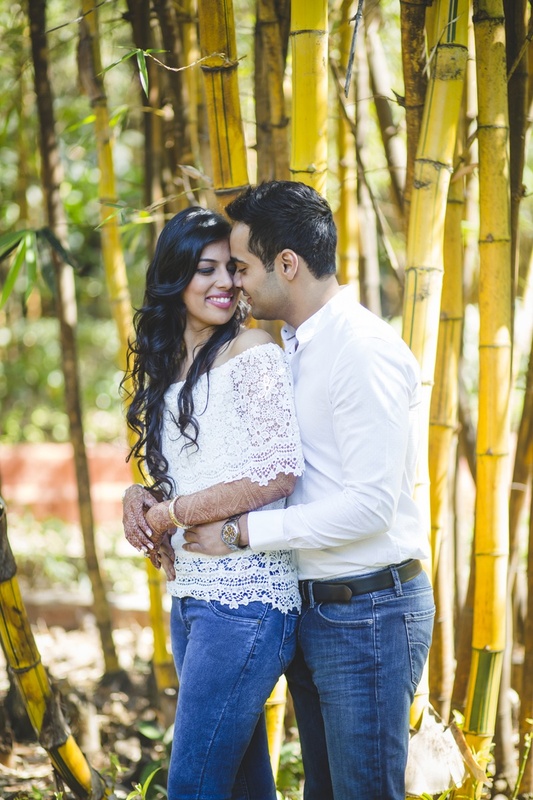 While we swoon over the blatant love visible in each picture, we dare not miss out on those gorgeous canary yellow stilletoes Bageshree pairs with her lace top and blue jeans, proving again that a pop of color can do you no wrong!